Travis is an Entrepreneur and Investor who is passionate about startups and all things Fintech. After graduating from Georgetown University, Travis started his career with Accenture as a financial services strategy consultant. Following Accenture, Travis joined HSBC where he was responsible for a number of strategic corporate initiatives. 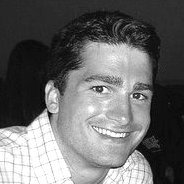 In 2010, Travis pursued his MBA at the University of Texas, McCombs School of Business. Travis focused his studies on entrepreneurship and finance. When not studying, Travis worked for a local venture capital fund and co-founded a startup named Embarkly. The startup provided an online marketplace for pet owners and boarding facilities. Embarkly was first to market, but it was unable to compete with the money shoveling capabilities of Rover (raised $50M) and DogVacay (raised $47M). Travis returned to New York to join Nomura as an investment banker on the leveraged finance team. Travis worked on the execution of LBOs, acquisition financings, debt recaps and other debt related transactions for financial sponsors and corporates clients. In 2014, Travis joined FinTech Collective as the Director of Investments. FinTech Collective is a New York-based VC fund, focused exclusively on financial services technology companies. The fund invests across Capital Markets, Wealth & Asset Management, Banking, Lending, Payments and Insurance.